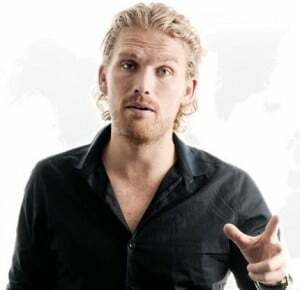 Rasmus Ankersen is a bestselling author, entrepreneur and speaker. His specialty is performance development and he serves as a trusted advisor to major businesses and elite athletes all over the world. He also serves as one of the Directors of Football at Brentford, and is the chairman of FC Midtjylland. He wrote his first book, The DNA of a Winner, aged 22. A year later, he published his second, Leader DNA, based on field studies of 25 high-profile leaders including the Secretary of NATO, Anders Fogh Rasmussen, and the CEO of LEGO, Jørgen Vig Knudstorp. With more than 40,000 copies sold, it became the bestselling leadership book in Denmark in the past decade. The Gold Mine Effect was his third book. It saw him take another step into the world of high performance, becoming the only expert on the subject who has literally lived and trained with the best athletes on earth, and has now been published in more than 40 countries. Rasmus lives in London. He is teaching organisations how to build their own gold mines of talent, with clients including LEGO, Facebook, Boston Consulting Group, IKEA, Rotman Business School, NASDAQ and Ernst & Young. As an author and expert on talent and performance development, Rasmus has been featured on Sky News Business, CBC, The Morning Show and Fox Sports. He has also served as a regular columnist in several business magazines. His latest book was Hunger in Paradise, which he released in 2015. Sir Clive Woodward, Rugby World Cup winning coach.